Dr Slot is one of the newest online casinos to attempt to capitalise on the immense (and growing) popularity of the online casino market. 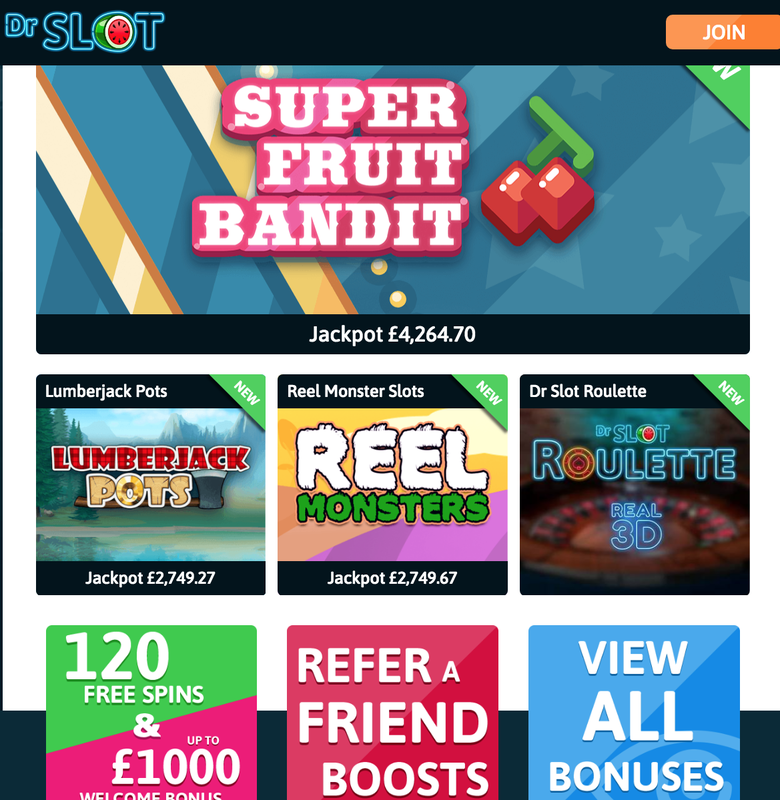 The days of mobile players being an afterthought for online casino sites are long behind us now, and Dr Slot is far from the first site to realise the opportunity that these players present. It is true that the competition amongst mobile focused casinos is not quite as high as it is in the general online casino world, but that gap is growing smaller every day and Dr Slot is still going to have to work very hard to get its nose out in front of the numerous competitors it finds itself up against. The casino comes from InTouch Games, who have a history of creating excellent mobile casinos, with the likes of mFortune, Mr Spin, and PocketWin under their belt already. This legacy of excellence, even if it only spans a comparatively short space of time, is helpful to Dr Slot, but it doesn’t do all the work, this is still a site that must impress. So, can Dr Slot stand up to the quality of the sites that came before it? Or is this the weak link in an otherwise strong family of mobile friendly casinos? Dr Slot is reminiscent of its sister sites in terms of its design, with a very mobile feel to it, even on desktop devices. The colours are bold and eye-catching, and the imagery is striking, but at its core, there’s very little about Dr Slot that stands out. Keeping the design so similar in its style to the sites that have come before on the same network creates a disappointing sense of monotony to the look of Dr Slot, which is a shame, because the site is attractive in itself. Blue is the main colour here, and turns up in various shades across the block colour design of the background. In front of these colours, you will find thumbnails for popular games available at the site, something that has become expected at online casinos at this point, so is not worth the marks it once was. Dr Slot is an attractive enough site that is put together in a way that allows for simple navigation and effective use. Is this site didn’t look so much like those which came before it, this would be an excellent looking online casino site. Normally, when it comes to online casinos, the battle is to have more gaming options than one’s competitors, which is why we see sites offering upwards of 1,000 games in some cases. Dr Slot does things differently, not only does this casino only offer proprietary software, that software amounts to a grand total of nine games. A number this small doesn’t feel like too few, it feels like a different approach, and, as such, is intriguing. If you are a new player to the online casino world, and instead of arriving immediately at a site that offers you more playing options than you could possibly know what to do with, you were greeted by a collection of nine entertaining slot games that you could enjoy playing for a period, before you moved onto other sites, then Dr Slot is probably perfect for you. It is also worth noting that Dr Slot is new, and there has already been new games added since its release, so expect the number of available slots to rise over the coming months, although probably only at a rate of one at a time. Dr Slot is an interesting site in many ways, but a step away from the themes of its predecessors would not go amiss.